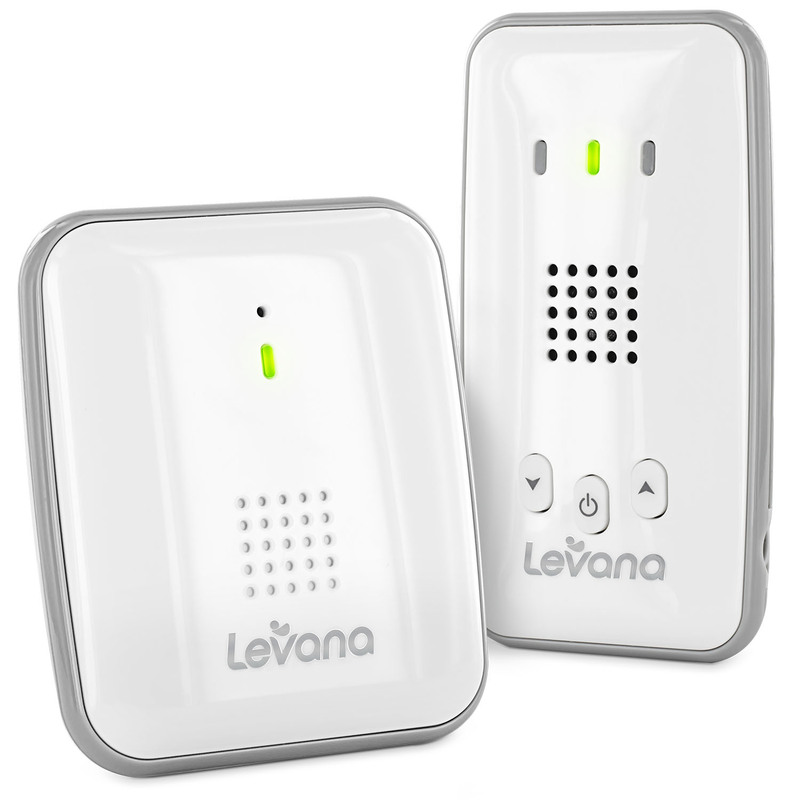 Introducing Alix™ Digital Audio Baby Monitor by Levana®. Listen to baby with the portable handheld monitor from another room or even outside! Stay connected with your baby and be alerted if you are out of range. Using ClearVu® digital technology, the baby unit broadcasts a secure signal that only you will be able to hear. These valuable features work in perfect harmony, giving you peace of mind in knowing that your child is safe, from up to 1000ft away. Simply place the parent unit onto the charging base which uses an energy efficient power adapter, and enjoy over 8 hours of continuous audio. Feel free to take the monitor with you around the house and even outside! This compact system is easy to take with you, wherever you go. Whether you are at home, on vacation or visiting friends and relatives, you’ll always know that your little one is safe. Levana’s Digital Technology ensures that you will always hear clearly and that the signal remains strong up to 1000 feet away. An audible alert will let you know if your unit is too far from the baby’s and connectivity has been lost. The integrated belt clip on the parent unit is both durable and functional and adapts to your monitoring needs. Carry it with you around the house or mount it on the wall while making dinner. 4.25" x 2.25" x 1.25"
Optimum range is 200 feet when signal is passing through walls or floors. Microwave ovens (when in use) may cause signal disruption at close range. Buildings with metal frames may also cause signal disruption. Maximum transmission range is 1000 feet. Battery life of 8 hours based on full duration testing. Battery life may vary depending on usage. ©2014 LEVANA®. All rights reserved. LEVANA®, the LEVANA® logo, Alix™ and other LEVANA® marks may be registered. All other Trademarks are the property of their respective owners.